I’m also going to try a slightly new format for the blog. I want to stay accessible to those who don’t know much about beer and who want to branch out, but also to fall more in line with traditional beer reviews. I’ll be following Beer Advocate’s reviewer guidelines. You’ll have to let me know if you like the new format. 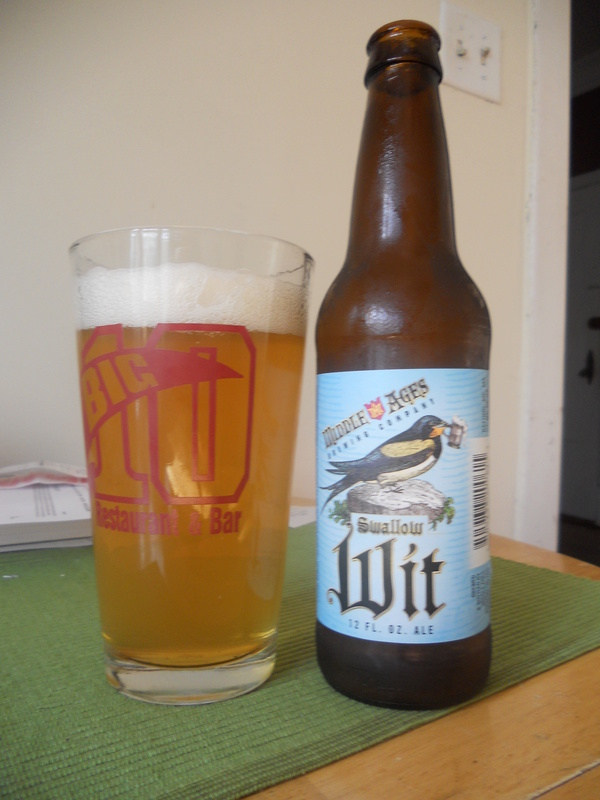 Tonight’s selection is Swallow Wit, a typical Belgian Witbier, from the Middle Ages Brewing Company in Syracuse, NY. Style: Belgian Witbier. 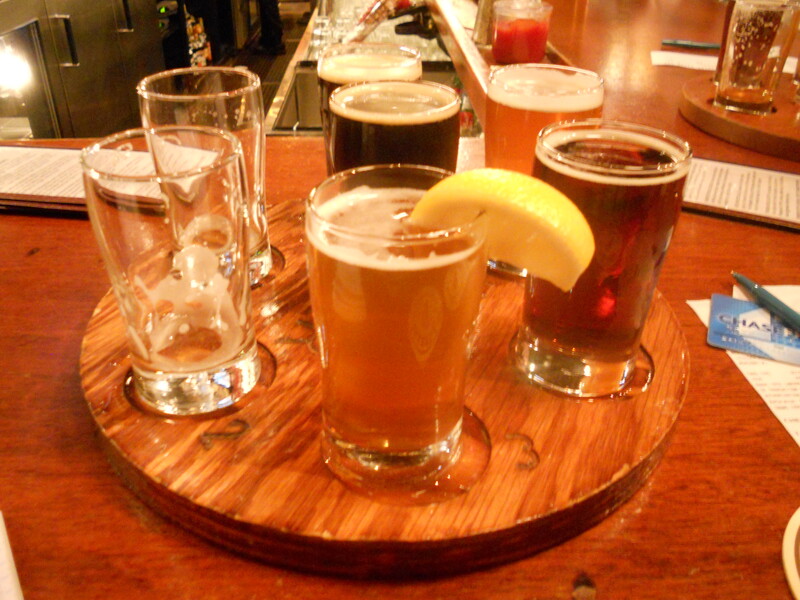 These beers are pale and cloudy (which means they are unfiltered,) and generally spiced with coriander or orange peel. I’ve reviewed quite a few of these style beers (this might just be my favorite style, actually) and they are very popular in America. 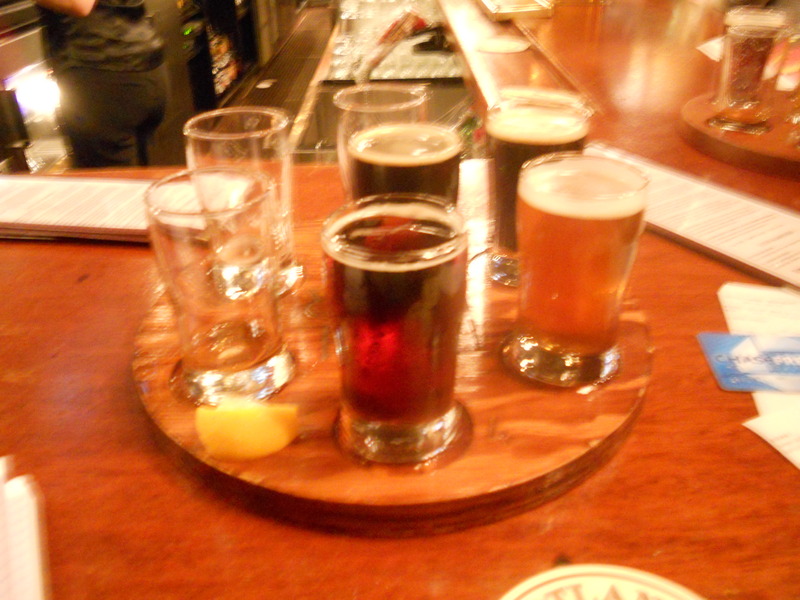 And–American breweries tend to be very true to style with these beers. Appearance: As you can see from the photo, Swallow Wit is a cloudy, gold beer. Good head when poured, but doesn’t retain. Mildly carbonated. Smell: You can tell this is a Witbier even without looking at it. It has that spicy/fruity aroma which is so typical amongst these beers. Taste: Excellent. It has a mild initial bitterness which fades as you sip. It tastes exactly like it should: a wheat beer with orange and coriander. Despite not pouring this beer correctly (yes, there is a correct way to pour different styles of beer) tonight’s selection from Tröegs was pretty darn good. I’m becoming quite impressed with this brewery. I hope they distribute in Chicago. Ignore the lack of head on this pour. I said I didn't do it right. 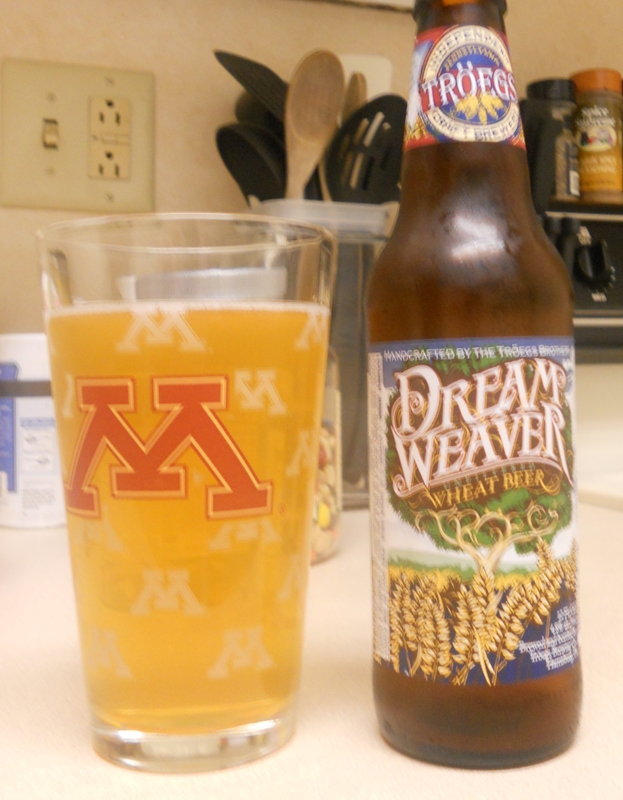 The DreamWeaver Wheat Ale is an unfiltered wheat beer that reminded me a little of a Hefeweizen, which would not normally be a good thing, but it turned out alright! The first thing I noticed was how much it smelled like a wheat beer. I also got a hint of spice and fruit in the scent. Then came the taste: more spice, more fruit, more wheat. The fruit is a new one for my beer palate: banana. Thankfully it’s only hints of it, otherwise I’m not sure how I would feel. One thing I will definitely say about this beer: it’s thirst-quenching. It isn’t too bitter or too dry, and it’s quite light. It would be an excellent “relaxing at the end of the day” kind of beer. The next edition of the Heartland Brewery macro-review will cover the Harvest Wheat and Red Rooster Ale. So this is the Harvest Wheat. 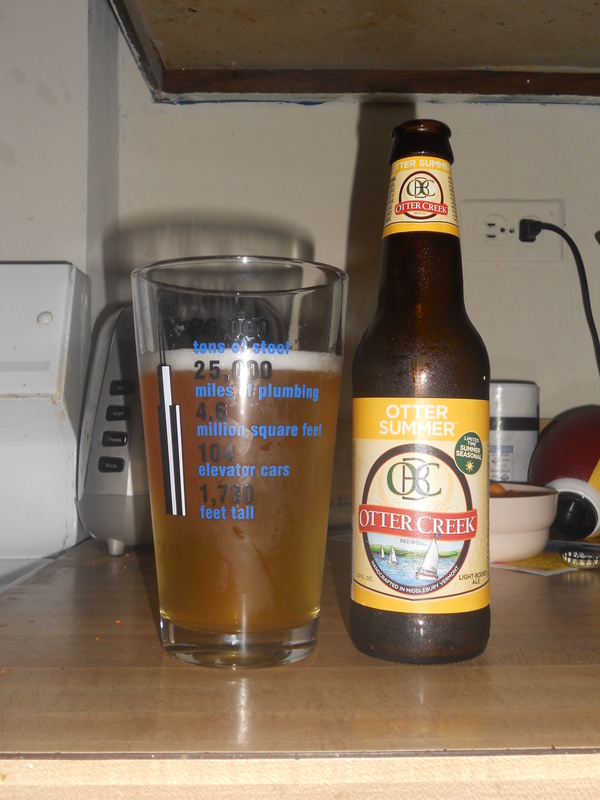 It had a citrusy aroma and an overly wheaty taste. Once I squeezed the lemon in, the wheat taste became overpowered by lemon. As you can see, it’s cloudy, so it is an unfiltered wheat beer. You don’t taste much for hops…mostly wheat. Did I mention wheat? All in all, this was not my favorite, but it wasn’t too bad. Next up is the Red Rooster Ale. Now…I’m a little biased because I absolutely love reds, and this was no exception. I haven’t had a really good red ale in awhile. The Red Rooster cured that. 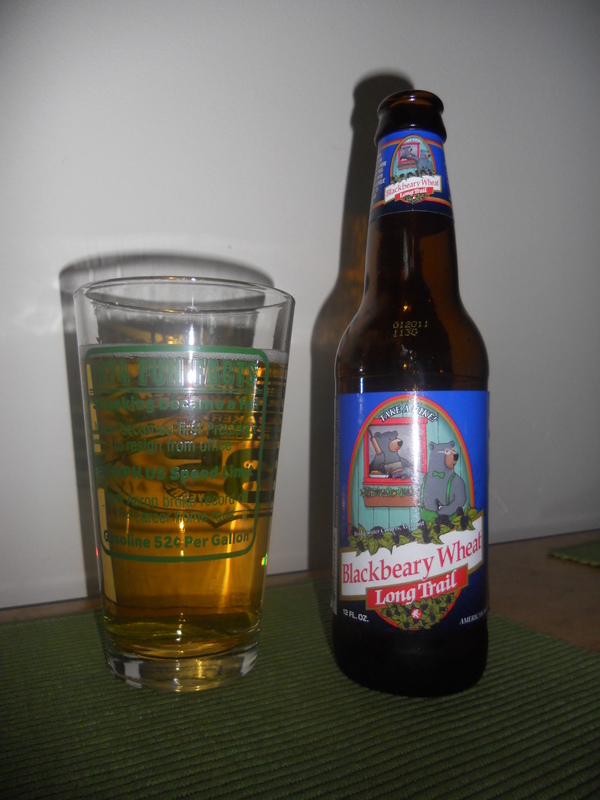 It had a malty, caramely aroma and the same sort of taste. It was smoother than any other red I’ve had (probably because it was an ale and not a lager) and it was refreshingly hoppy. While I couldn’t drink this for hours, it’s definitely a beer to sip and enjoy.